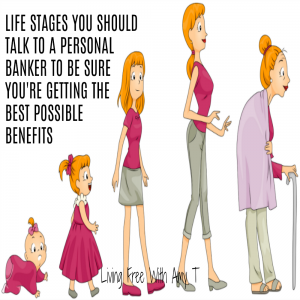 This post was updated and republished on September 19, 2018. 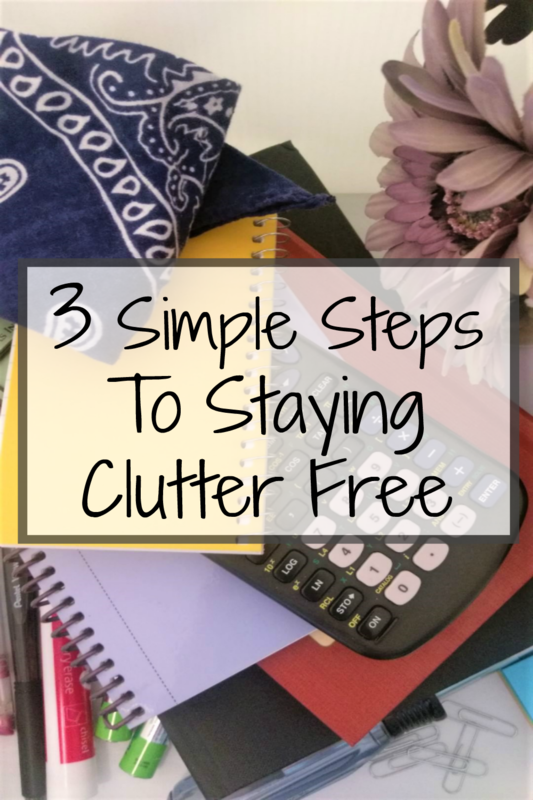 We live in a time where clutter seems to be free to reign in our lives. We accumulate “stuff” and are often too afraid to get rid of it that we hold onto it for way longer than is necessary. Can you relate? I totally get it! It is difficult to get rid of things, especially if we think it’s something we are going to need again further down the road. Or we may hold onto it for sentimental reasons or just because we are too afraid of what it would mean to throw away. Although I have gotten much better at not accumulating clutter, this is something I still struggle with. I think that even for minimalists, that lifestyle is often a struggle and doesn’t always come that easy. In order to better rid our lives of clutter, we must understand the negative effects it has on us. For one, clutter causes us to be less productive. 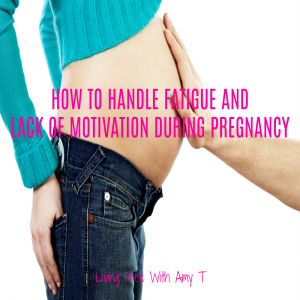 It distracts us both physically and mentally from what we really need to get done. For example, studies have shown that a clutter-less desk produces much better work than one full of random things. Clutter also makes us feel overwhelmed, which can cause stress and anxiety. I’m not talking about some random available place to put an object when you’re finished using it. I’m talking about a permanent home so everyone in your household knows exactly where it belongs. This way no one has an excuse not to put it away. Plus, you have the peace of mind in knowing that you are not holding on to anything that really doesn’t fit in your house. If it helps you to have more fun with it or stay organized, consider labeling where things go (I can’t get enough of chalkboard labels). You can also search Pinterest and find some fun and creative ideas of where to put things. The point is, when every object has home, there is nothing just sitting around because there is nowhere to put it. Once you’re done using, it goes back where you got it from. If you’re anything like me, I often have piles of clutter laying around for months and months without ever touching it. And it makes me ask that if I rarely touch it, do I really need it? Of course there are some things we don’t touch often we need to keep (i.e. 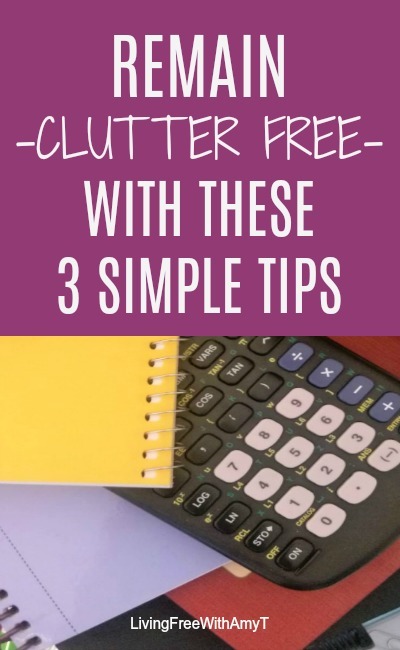 tax returns), but when it comes to just “things” in our homes, asking ourselves whether or not we really need it can help us eliminate clutter before it ever starts. I like to call myself a minimal minimalist. I don’t want to get too extreme with it, but I also don’t want to have a home filled with useless things that make it look crowded. That stresses me out more often and is also more to dust and I hate dusting! So if I don’t absolutely need to have something, I am so ready to get rid of it. 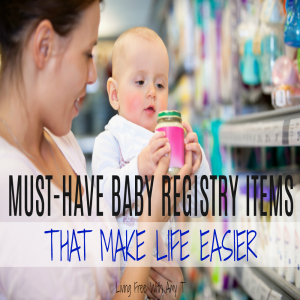 This can be really difficult when it comes to sentimental things. But I used to have boxes filled with cards, gifts and other items that were given to me that I never looked at again. If I am never going to bring out the boxes to look at the items again, or even if I do once every 5 or 6 years, is it worth keeping? I decided it is not. That doesn’t mean what I was given didn’t mean something to me, but I would rather cherish memories with people I love rather than objects. I feel so strongly about doing things right away that I wrote an entire post on it. When we empty the dishwasher right away, it is ready to go for all new dirty dishes. When we put our coat in the closet immediately, it never lays over the arm of the chair making the entryway look messy. And when we sort the mail as soon as we bring it in, it never lays around creating clutter. 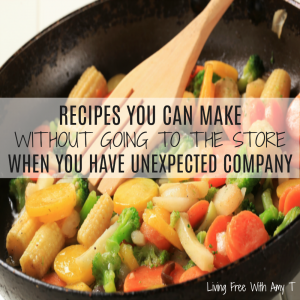 Putting things away in their home immediately is so necessary to keep our homes (and our minds!) clutter free. Then we’re not distracted by objects laying around and we don’t have to think about cleaning it up later. 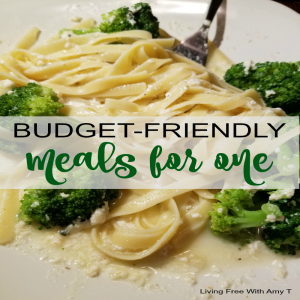 Give it a try and see if it makes a difference for you! 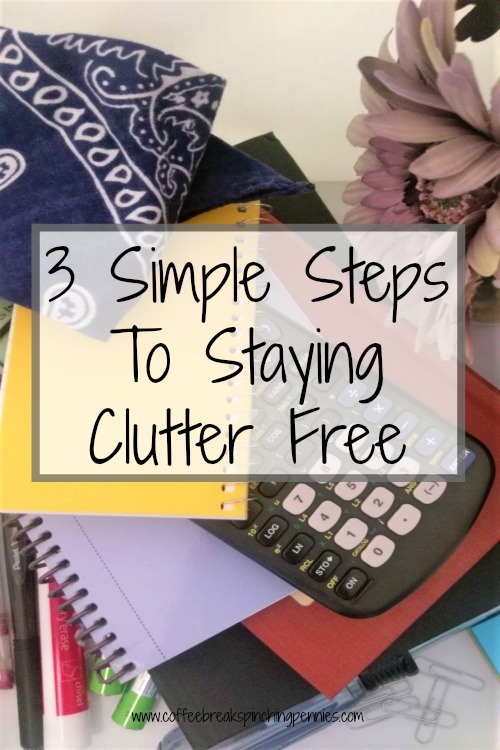 Of course there are many other things we can also do to keep our homes free of clutter but I didn’t want to “clutter” up this post with too many steps! 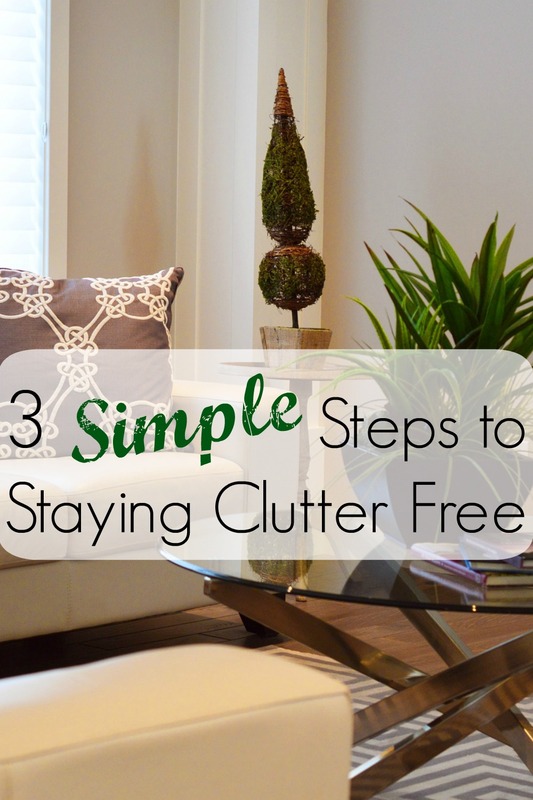 I believe if you can focus on these three steps, then you will have a clutter free home. The bottom line is, if we want to be more productive and less overwhelmed, then clutter cannot be a part of our lives. It is distracting and takes away from what we want to get done. 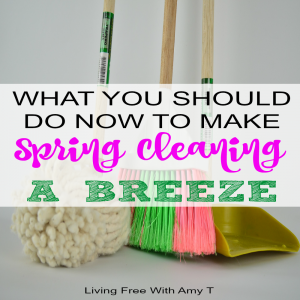 But if we take just a few simple steps – finding a home for everything, asking ourselves if it is something we really need, and putting things away immediately, we can do away with clutter before it even starts. What do you do to keep away clutter? Please comment below because I would love to hear them and they could help someone else!